Enjoy these special offers and save on the slopes this season. Members of our All-Star Rewards Program enjoy exclusive discounts on lift tickets at our partner mountain resorts. Receive a 2018-2019 Junior Unlimited Winter Mountain Season Pass at Bretton Woods when you lease or purchase a complete junior ski or snowboard package (ages 12 and younger) from Golf & Ski Warehouse. Pass is free if you register online before October 31st. There will be a $25.00 processing fee if you register online between November 1st and December 20th. One non-transferable Junior Pass voucher valid for a 2018-2019 Junior Bretton Woods Unlimited Winter Mountain Season Pass will be issued for each junior package lease or purchase through December 17, 2018. You must register your voucher online at com/juniorpass or register your voucher in person by December 20, 2018 to receive a complimentary Junior Season Pass. Register online by October 31, 2018 and the pass is FREE. Register online from November 1, 2018 to December 20, 2018 and incur a $25.00 processing fee. Register in person by October 31, 2018 and incur a $25.00 processing fee. Register in person from November 1, 2018 to December 20, 2018 and incur a $50.00 processing fee. Registrations online or in person after December 20, 2018 will result in a $119.00 processing fee. The pass is only valid for children ages 12 years old and younger, born on or after December 31, 2005, as determined by calculating the child’s age on December 31, 2018. You may be required to provide proof of a child’s date of birth if child is age 10 or older. Vouchers may be redeemed for a one-day complimentary JUNIOR lift ticket if you don’t want the pass. Save $15 on an Adult Full Day All Mountain Lift Ticket (limit one per day per pass, passholder must be present and show pass at time of purchase). Season Passes are not transferable and may not be returned for credit or used for another ski season. Registered online Junior Pass vouchers must be picked up at Bretton Woods season pass office by January 28, 2019 or the pass is revoked. You will be required to bring in the original Junior Pass Voucher and store-issued Proof of Purchase receipt when you come in to pick up your season pass. Copies of a voucher or receipt will not be accepted for any reason. Parents will be required to sign a release of liability waiver for each child when you come in to pick up your printed pass(es). Save time in line, download and complete the liability waiver before you pick up your pass at brettonwoods.com/juniorpass. Completed liability waiver must be brought in when you pick up your pass. Please remember to verify that you have your original store voucher, store-issued receipt, and that you have reviewed all of the relevant registration dates and requirements when you come to Bretton Woods to pick up your child’s pass. If you have any questions, please email Bretton Woods at bwjuniorpass@omnihotels.com or call (603) 278-4496. 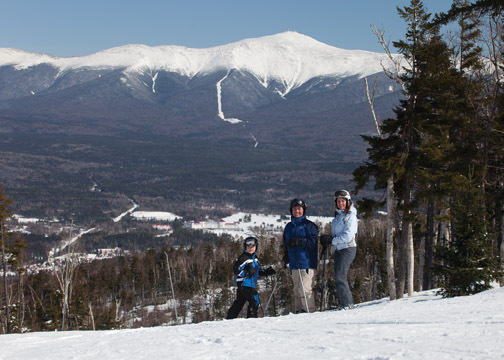 To learn more about Bretton Woods and the Mount Washington Resort, visit www.brettonwoods.com. Visit Bretton Woods, New Hampshire’s largest ski area with 464 acres of skiing and snowboarding on 62 trails and 35 glades and three terrain parks! Ten lifts, including four high-speed quads, make your ride up the mountain almost as fun as the ride down. If there’s snow falling, chances are we’ve got it – or we can make it with snow-making on 92% of our trails. And, because you’ll want to stay on our slopes until after dark, we also offer night skiing and riding. Top two in the East for snow and grooming for five years! We are proud of the Ski Magazine Reader’s Poll results and would like to thank all of our guests for supporting us over the years. Bretton Woods has been ranked #1 IN THE EAST for GROOMING and has held the top two spots in the East for Snow and Grooming over the last FIVE years! Five trails, and two lifts are open for night skiing and riding most Fridays, Saturdays and holiday period evenings during the winter season. Twilight and night skiing, and Powder & Pasta tickets are offered Friday and Saturday nights from December 29, 2017 – March 10, 2018. Special holiday night skiing is also offered: December 26 – 28, 2017; December 31st, 2017; January 14, 2018 and February 18 – 22, 2018. To learn more about Bretton Woods, visit www.brettonwoods.com/winter_sports/alpine/overview. Pico Mountain at Killington is like no other. Only here can you experience the thrill of a big mountain terrain with small mountain charm. With 57 trails, 469 acres of terrain, and 7 lifts, you will find it all at Pico. At more than one mile long, Pike, Pico’s longest trail, begins at the summit and ends at the base lodge, you will enjoy almost 2000 true vertical feet. Skiers and riders can also try the blue square 49er, and Sunset 71, or winding black diamond trails like Summit Glades, and Upper KA straight from the summit. More experienced skiers and riders can take a shot at the mountain’s steepest trail, Giant Killer – a double-black diamond. 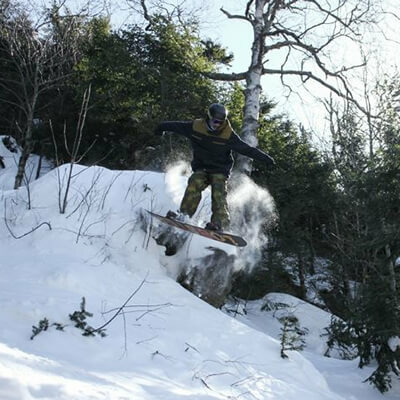 For glade skiing and snowboarding enthusiasts, Pico offers tree skiing on Doozie, Birch Woods, and has added 4 additional glades areas in 2014. For cruising and carving, check out the green circle and blue square trails off the Golden Express Quad, including Fool’s Gold, Prospector and Gold Rush. Riders and skiers working on their freestyle skills will be right at home in the Triple Slope Terrain Park. These offers are only valid at Pico Mountain Resort at Killington. Tickets must be redeemed at the Pico Ticketing Sales Center. The Perfect Vermont Family Ski Vacation! Bolton Valley Vermont is the perfect getaway for families who want to learn to ski and ride in a safe, friendly Vermont resort atmosphere. Vermont Skiing and Riding at its best! Bolton Valley Vermont is a unique, high mountain alpine ski village surrounded by over 5,000 pristine acres. At Bolton Valley the recreational opportunities are as numerous as the views are spectacular. Whether you’re interested in skiing or snowboarding, telemark or Nordic, backcountry or night skiing, Bolton Valley has it all in abundance. After your legs have had enough, relax in the Sports Center’s jacuzzi, heated pool or warm up in the sauna. Need more activities? Join a basketball game or work out in the exercise center. There is no limit on ways to stay active at Bolton Valley. Great food? We have that too. Want to stay in slope side lodging? Look no further. All lodging, whether it be the Inn accommodations, suites, or condominiums, are all slopeside or within a short walking distance. No cars needed at Bolton Valley, it’s all right here. We are family friendly, affordable, and offer loads of fun. Bolton Valley is the place to get away and enjoy the best Vermont has to offer. For more information about Bolton Valley, please visit www.boltonvalley.com. Valid any day during the 2017-2018 season. No resale, no cash value. Not valid in combination with any other discount or offer. Discount applicable to retail price of a full-day lift ticket only. Expires 4/9/18 or at the end of the 2017-18 season. Redeem lift ticket offer at Guest Services. In the most recent SKI Magazine Reader Survey Mount Sunapee scored seven top 10 rankings in the East for Service, Grooming, Snow Quality, Lifts, Value, Kid Friendly and Accessibility. Now with two high-speed quads to the summit, including the new Sunbowl Express, you can enjoy more skiing and riding than ever before at Mount Sunapee on the most reliable snow in the East. During the summer the Adventure Park offers a Canopy Zip-Line Tour, Aerial Challenge Course with 32 challenges, a Big Airbag Jump and Climbing Wall Tower, an 18-hole championship Disc Golf course, 18 holes of Miniature Golf plus the new Evolution Bike Park offering downhill mountain biking thrills. . Rated “BEST” Adventure Park in New England in 2014 by Yankee Magazine. The big mountain with the best snow in the East is right in your backyard. Mount Sunapee Resort is conveniently located in southern New Hampshire in close proximity to interstates I-89 and I-91. To check on snow conditions and weather click here. To learn more about Mount Sunapee or for driving directions, visit www.mountsunapee.com. Discount applies to daily full-price, full-day, all-mountain lift tickets only. Special or promotional rates do not apply. Cannot be combined with any other offer. Maximum one ticket per card per day. All-Star Rewards card must be presented to the Guest Services Desk to receive your discounted ticket. You must present your All-Star Rewards card at the Guest Services desk in either the Sunapee or Spruce Lodge to pick up your ticket. Throughout the region, Waterville Valley Resort is known as the best place to find a truly genuine New Hampshire ski experience. That experience starts with one of the most spectacular locations in New England; a 500-acre valley surrounded by the peaks of New Hampshire’s White Mountains. The ski area itself rises to 4,000 feet and features a wide variety of terrain for skiers and riders of all levels. With a 2,020 foot vertical drop, 11 lifts, 97% snowmaking coverage, nightly grooming and some of the best terrain parks on the East Coast, its 265 acres of quintessential New Hampshire skiing is ready for you to conquer. The 2017/18 season is a big season for Waterville Valley Resort. Building on last year’s expansion of 10 new trails, this year they’ve invested over $1 million in snowmaking, completed the first year of a multi-year base lodge renovation, brought a Gateless RFID ticketing system to the East Coast (no more traditional scanning at the lift line! ), added to new conveyor lifts to the learner’s area, and are currently in the process of installing a T-Bar at the summit terrain known as High Country. Known as The Birthplace of Freestyle Skiing, Waterville Valley Resort has hosted 11 World Cup events as well as a broad range of other competitions for both youths and adults. After you conquer the mountain, explore the valley and spend the weekend in town with restaurants, shops, and activities for the whole family including year round ice skating and a fully equipped indoor athletic center all located walking distance from your inn or condominium. Visit waterville.com for details. Waterville Valley Resort is a convenient 2 hour drive north of Boston. 25% off Weekend and Holiday rates. To learn more about Waterville Valley Resort or for driving directions, visit waterville.com. All-Star Rewards card must be presented to the Ticket Window to receive your discounted ticket. You must present your All-Star Rewards card at the Ticket Window at the base of Waterville Valley Resort. All users will be responsible for a $5 RFID Card Refundable Deposit at time of purchase. *Weekends are defined as all Saturdays and Sundays. Holidays are defined as December 25, 2017 thru January 1, 2018; January 13 – 15, 2018; February 17 – 24, 2018. Mainely Ski & Ride is a day trip service based in Portland, Maine, where skiers and snowboarders can enjoy a day on the mountain without worrying about the drive home at the end of a long day. Day trips to Sunday River and Sugarloaf from Portland include round-trip coach bus transportation, full-day lift ticket, coffee/snacks/movie and new friends for the ride. Transportation only and discount lift ticket options also available. Mainely Ski & Ride’s mission is to provide a service to the community of Portland, Maine, and beyond that creates an environment where all are welcome, new friends are made, memories are created and a positive good time is had by all. We aim to provide remarkable customer service by offering open and clear communication, partnerships with exceptional local vendors, and abundant value for your purchase. Finally, we are focused on serving the community by supporting local non-profits that have a similar mission and vision. We are dedicated to raising funds and awareness for our chosen organizations and dedicate 10% of profits directly supporting their cause. Visit www.MainelySkiandRide.com to book your reservation and save using the exclusive discount codes above. Maine’s longest running ski area! Most Night Skiing in New England! Save money each time you ski or ride this season at Shawnee Peak! Purchase your lift tickets online and save 20% off each item. Make sure to use code GS2018 when you purchase your tickets. You can also save 20% on ski and snowboard rentals. For more information about Shawnee Peak, visit www.shawneepeak.com or call (207) 647-8444. Cannot be combined with any other discounts or multi-day tickets. Special or promotional rates do not apply. Online offer only. Enter code GS2018 in the Apply Promo Code field during checkout. Tickets must be purchased online and printed voucher must be presented at ticket window. Your one stop winter activity center offering over 36K of skiing and snowshoeing trails, skating and sledding. Reasonable rates, lessons for beginners and experts, and a variety of special events make Eastman Cross Country Center the ideal place to spend the day with family and friends. Eastman Cross Country Center is part of the Eastman Community Association, a four-season, environmentally-friendly residential and recreational community, also offering a lake, semi-private golf course, tennis, sailing and much more. When ski season’s over, we open Eastman Golf Links, a breathtaking 18-hole, semi-public golf course, which is open daily for public play and membership. To learn more about the Eastman Cross Country Center, visit www.eastmannh.org/ski/. Strafford Nordic Center, located at 53 Rockbottom Rd in Strafford, VT, offers 30KM of groomed Nordic trails for skiers of all ages and abilities, a Biathlon Range, a full service rental department, ski lessons and a cozy ski lodge. Located just 10 minutes off I-89 and 2 1/2 hours from Boston and Hartford CT, we are the most convenient Nordic Ski Area in Vermont. Now in our 6th year of operation, we are operating in a new lodge space and have a new (to us) Pisten Bully snowcat! Our 30K trail system is in great shape, and we plan to add some backcountry and more Ks in the next few years. Our trail system is currently hosted on two locally owned, well-known farms. The base lodge and trailhead are located at Rockbottom Farm, a working organic dairy farm and home of the Strafford Organic Creamery. Scenic ski trails are hosted on Rockbottom Farm’s spacious fields, rolling hills, and wooded expanses. Additional trails are hosted on Tamarack Hill Farm, long known for its high-level equestrian training, gorgeous scenery and challenging terrain. While enjoying a day of skiing on these two majestic Vermont farms, take in the long range views of Vermont and New Hampshire from the ridgeline on the Outer Loop trail. If cruising is more your style, try out the rolling fields and winding woods trails. Whatever type of skier you are, we have the nearby trails you’ve been looking for. To learn more about the Strafford Nordic Center, visit www.straffordnordicskiing.com.